The Civil Society Scaling-Up Nutrition in Nigeria (CS-SUNN) is a non-governmental, non- profit making coalition made up of organizations with a shared vision to transform Nigeria into a country where every citizen is food and nutrition secured. We pursue this lofty goal by engaging government and non-state actors to raise awareness, sustain commitment and actions to effectively tackle under-nutrition in Nigeria. The coalition was formally launched on the 7th of August, 2014. CS-SUNN is currently recruiting for an upcoming project. 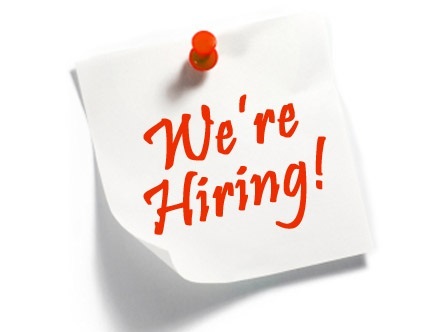 We are looking for a qualified candidate for the position of a State Coordinator. The State Coordinator will contribute to CS-SUNN’s effort to plan to advocate for domestication/effective implementation of the National Nutrition Plan and improved funding for nutrition in Rivers, Gombe, Kwara, FCT, Imo and Oyo states of Nigeria. Will contribute to the delivery of project objective and reports on CS-SUNN’s nutrition advocacy project on improving nutrition policies implementation and funding at Rivers, Gombe, Kwara, FCT, Imo and Oyo states. The post holder will also be expected to contribute to the implementation of the wider CS-SUNN Nutrition Advocacy and campaigns. Develop a good knowledge of state government structures, parliamentary and political processes and key decision-making structures and how to influence them. Contribute to all efforts to raise/nurture CSO coalition and champions for nutrition at the sub-national level. Represent CS-SUNN at various forums and advocacy opportunities as directed. innovatively and practically to ensure achievement of desired change objectives. Fluency in English language (written and verbal). Ability to work independently and manage various projects with limited supervision. Applications without appropriate subject will be disqualified. Applications received after the closing date, 1 PM on Friday 10th August 2018, will not be considered.